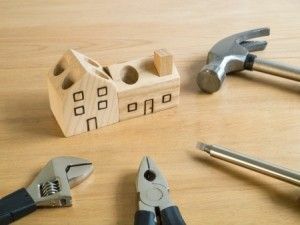 There are some home remodeling projects that can be a smart move regardless of your plans for the home. You will likely get some sort of reward from these investments whether you stay or go. These improvements will help you boost the home’s value if you sell, or make the space more enjoyable and functional if you remain in the house. Bathroom and kitchens, as most people know, are among the most important rooms to prospective buyers. So if you are selling a home, you will want to evaluate your bathroom and kitchen space and consider whether any updates or improvements are needed. But these rooms are also among the most important to the daily routine of your family, so if you don’t plan to sell, you want them to be spaces that are comfortable and practical for your household. In both cases, there are often places where you may be able to make relatively small and affordable changes or upgrades that will make a big difference. Home additions are another feature that can offer appeal whether you plan to stay or sell. For a growing family, more space can make the home more comfortable and convenient. If you are selling, the ability to increase the home’s livable space or add another bedroom or two can often boost your home’s appeal to buyers. With any of these situations, though, if you do plan to sell, it would be wise to consult with a real estate agent before you make any changes. They will be able to guide you as to the best ways to invest your money—and how much return on your money you can reasonably expect to see. No matter what your ultimate goals for your home, when RW Remodeling handles your Phoenix home remodeling project, we will deliver the results you want.